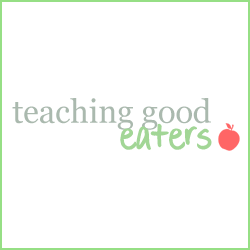 Teaching Good Eaters: How's Your Relationship? Though I have been working on this blog off and on for a few years, I've struggled to define exactly what my focus should be. Until, a few weeks ago. Oddly enough, inspiration for my focus came from an advertising campaign that Special K is running right now encouraging women to "fight fat talk." It made me think, not only about the ways we damage ourselves with this talk, but about the things we say in front of our kids- about our bodies, about food, about food and our relationship to it. It made me realize why I cringe when I see a recipe that claims to be "guilt free." It made me realize why I'm turned off by talk of fat and calories and working out. It made me realize why I'm not comfortable simply focusing on "healthy," eating, or "healthy," foods. So here goes. Here's my focus. 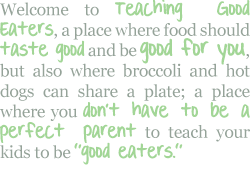 When it comes to my kids, I want to help them develop healthy relationships with food. Because right now, healthy food, or unhealthy food, I think that what many of us struggle with is our relationship with food. We overindulge and feel guilty. We restrict ourselves and feel cheated. We see food as the enemy. We have taken food and turned it into chemicals and numbers. We look at the obesity epidemic and think we simply need to change the food, change it's chemical makeup, change the amounts, change the numbers. I think that this is a relatively new phenomenon and I think it may be at the root of our problem. In the past, food served several purposes. At its best it provided enjoyment and nourishment. At the very least, it provided sustenance. Perhaps we need to start over. 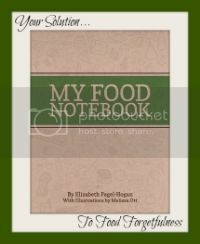 To get to know food all over again without all of our preconceived notions. We don't need new diets. We don't need new foods. We need a new relationship. 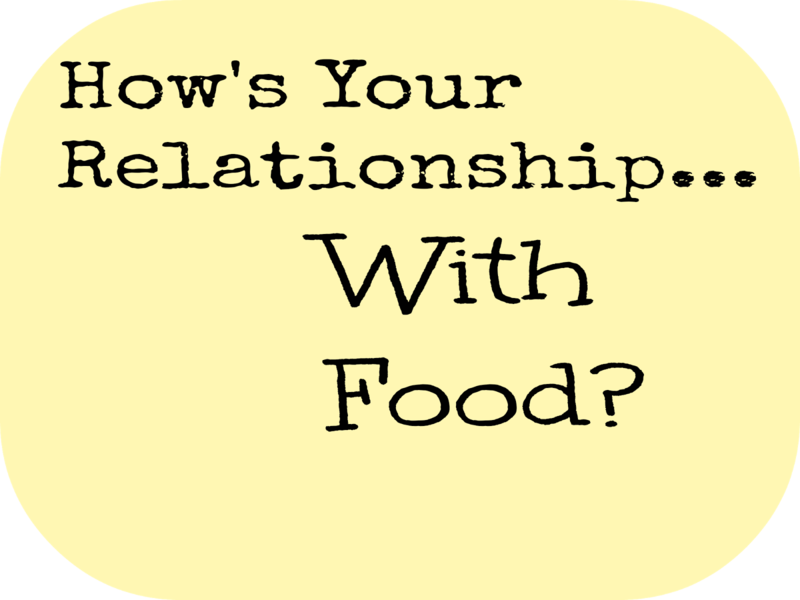 How is your relationship? 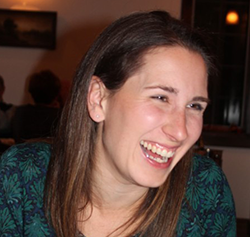 What can you do to enrich your relationship (and your children's relationship) with food?